Exhibit theory- A must do! After many years, and, I mean decades! I finally began playing guitar and, taking regular lessons. Every day, I “touch my guitar”, as my teacher, wisely suggested to me. But I do have a repertoire of over twenty songs, which is enjoyable. Theory is work and, still takes discipline. But it produces results over time. A successful exhibit program demands that you do your homework and, do your theory to have a successful program as well. Whatever your objectives. Some possible company objectives follow below. And help provide the reasons to why your company is exhibiting at a particular show or, shows. 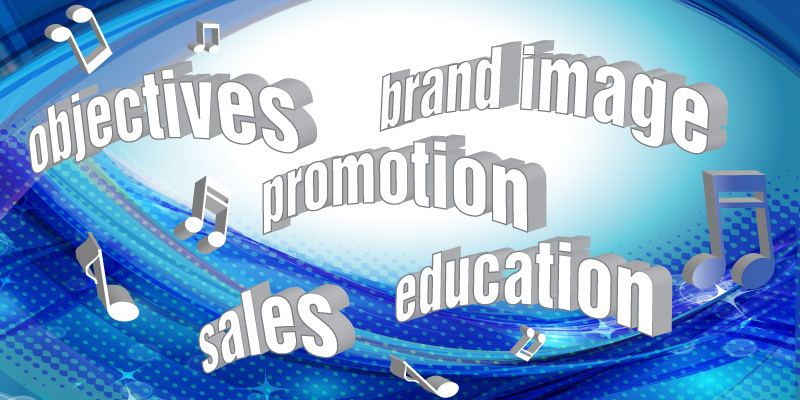 * Corporative objectives- Brand support, company awareness or, image. * Departmental objectives- To promote a product, service or, industry need. These objectives validate why a department is investing employees’ time and money to exhibit at this show. * Build employee morale and, educate in order to offer employees with educational and, networking opportunities. Employees attending Trade Shows help build personal growth while learning industry trends, attending industry events, talking to consumers, meeting competitors, gathering more knowledge of the company and, meeting principal executives. * Direct sales of product or, services. * Gather leads for post-show follow-up. * Research new offerings in your industry. * Write orders at the shows. * Educate your sales staff on old and, new products. * Have sales team retreats to develop comradery. * Introduce/demonstrate a new product or, service. * Benefit from having a portable showroom. * Research consumer opinion of old and new products or, services. * Finding new products or, services to add to your offerings. * Gathering market or, competitor’s information. * Finding sales reps or, distributors. * Attend networking events creating more opportunities. * Introduce/educate new employees to your industry. * Introduce company executives to clients. * Provide media opportunities to have your company CEO interviewed. * Provide industry events for your company experts to speak at seminars. * Reinforce a company image or, create a new image. No matter what the objectives are, you will have to have or, establish a budget to exhibit at shows. Usually, the budget will be established by your sales and/or marketing team. Now, go research your company’s past and, present show schedules. Speak to your management to find out what they have been doing in the past. Ask for past show photos, schedules, locations, suppliers, past budgets and, post-show reports. Ask! To see the actual exhibits. Make an inventory of your company’s present exhibits and their condition. Include a graphics inventory which will have products logos. Verify all are current. Walk similar shows in order to see other exhibitors’ exhibits. Be prepared for the unknowns when exhibiting. Plan supplies with backups for the unexpected changes at a booth location or, equipment/software failures. Have a list of local contacts at the show should your require onsite services. Note: This Blog entry is directed to managers organizing a new exhibit program. Existing managers and, programs will benefit from this information by reviewing their present exhibits, graphics, procedures and, objectives. A future blog will follow focussing on advertising and, publicity. Your company website should be reviewed too, with regards to your exhibit program. Are previous shows with photos on your website? List your upcoming shows with show contact name on your website including the products and, services that will be exhibited. Remember! Choosing and designing the physical exhibit, doing the publicity and, travelling are the fun parts. Doing the theory of researching and planning your exhibit program of why and, where to exhibit, form the foundation for a successful program.